post-title Here’s to the barmen! 2 men celebrating a combined 70 years in the trade. Here’s to the barmen! 2 men celebrating a combined 70 years in the trade. Home / 2018 / Here’s to the barmen! 2 men celebrating a combined 70 years in the trade. 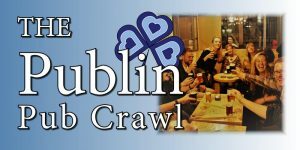 This past week saw two milestones achieved by 2 Dublin barmen in 2 different parts of the city. 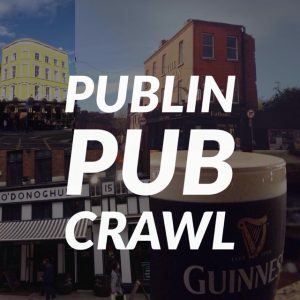 Pat Dempsey of Slatterys pub in Beggars Bush was honoured as Ireland’s best bar person at the Irish Pubs Global Awards in Galway, and Val Burke of The Long Hall pub on George’s Street marked 40 years of service in the trade and in the pub. 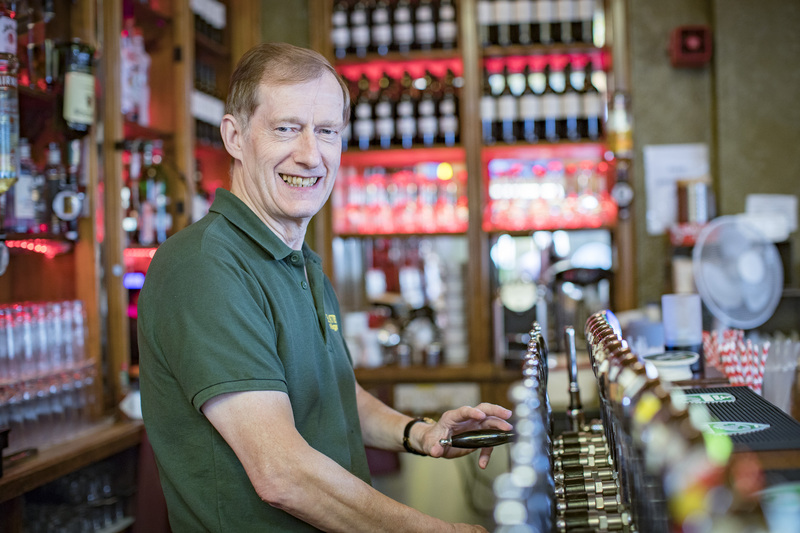 Pat will be retiring this year after serving in the bar for 30 years, which must be one of the longest stints in a city full of loyal bartenders. 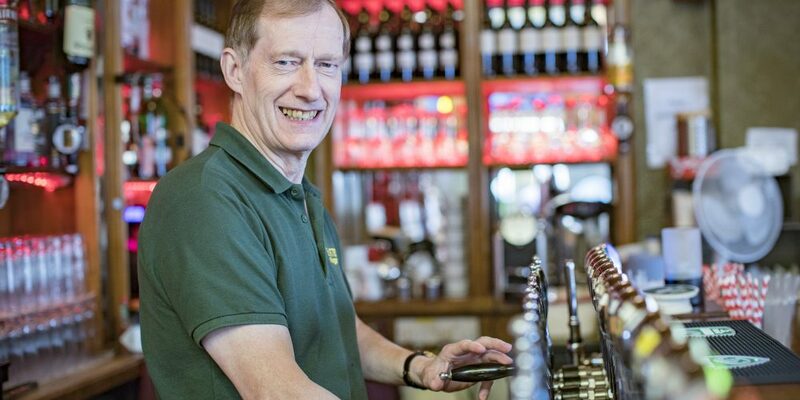 Down the canal and down George’s Street is another long serving and well loved barman celebrating a milestone. In the 40 years that Val Burke has worked in The Long Hall he’s seen a lot. From the regular customers, to the visiting tourists, and everyone up to Phil Lynnott and Bruce Springsteen, he’s served them all. A few years ago The Long Hall celebrated an incredible 250 years in the trade. On the celebratory night, the owner Marcus Houlihan made a speech about the importance of the customers and the staff to the pub. 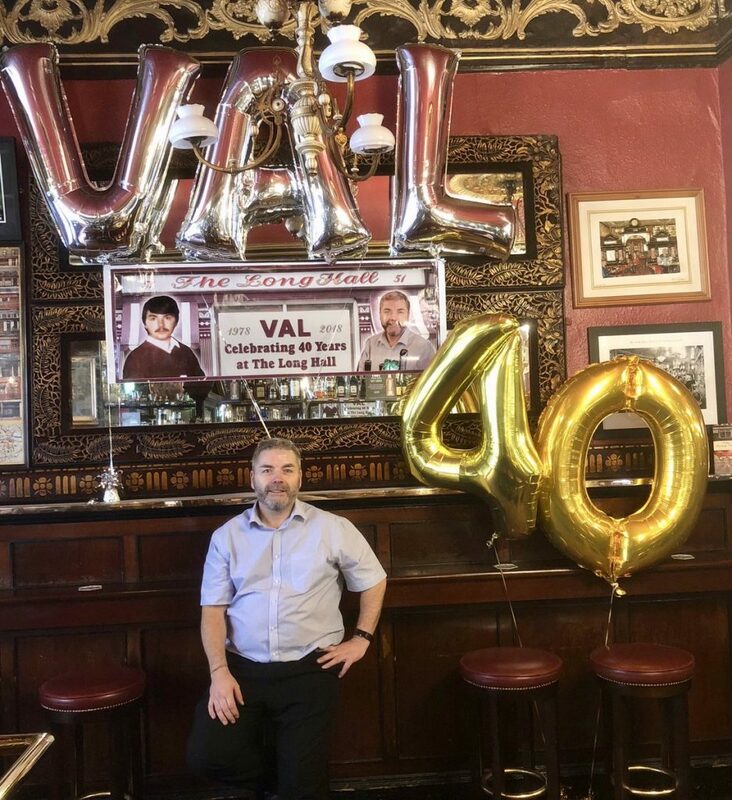 Nobody typified this better than Val, who has always been a very friendly and welcoming face to anyone who frequents the pub. 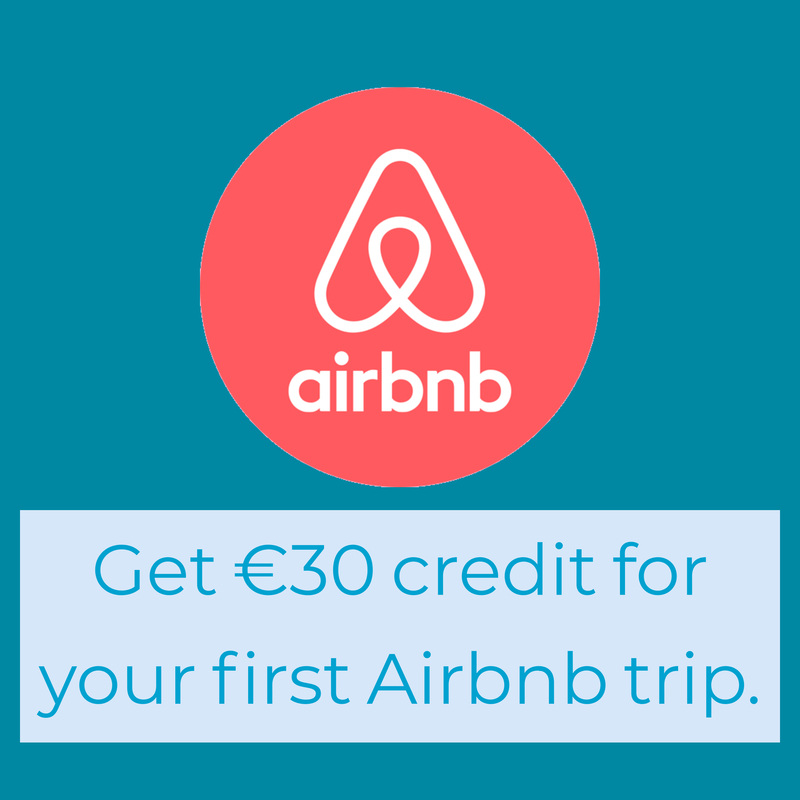 These two milestones in the trade beg the question…who is Dublin’s longest serving bar person? Congratulations to both Pat and Val and thanks for the pints!